As Valentine's day approaches, thoughts turn to matters of the heart. And while the day may be a painful reminder of a broken heart for some, there are children every day who are born with a literal broken heart. So in order to bring attention to these children and their parents, this week has been designated Congenital Heart Defect Awareness Week. About one out of every 125 babies born in the United States is born with a congenital heart defect, or about 1% of all newborns. A congenital defect means that it is an inborn error in the way the heart developed in the mother's womb. More babies die from a congenital heart defect in the first year of life than from any other birth defect. Let's take this opportunity to review some of the more common congenital heart defects, what causes them, and how they are treated. There is an important distinction in congenital heart defects that becomes apparent very quickly after the baby is born, and that is whether the defect is cyanotic or non-cyanotic. In cyanotic defects, the baby's heart is defective in a way that oxygenated blood cannot circulate properly to all the tissues, causing the baby's skin to look blue. In non-cyanotic defects, there is still a defect in the structure of the heart, but the defect is not large enough or located in a place that causes poor oxygenation. Babies with cyanotic defects, if undiagnosed, will start to gasp for air and look blue, sometimes within minutes after birth, or sometimes will take a few months to a year before showing symptoms. The most common cyanotic congenital heart defect is called Tetralogy of Fallot. About 400 babies per million live births will be affected with Tetralogy of Fallot. In this condition, there are four defects that are present (hence 'tetralogy'), with the most impactful being 1. pulmonary stenosis. This is the outflow tract where blood is pumped from the heart into the lungs. In the case of 2. pulmonary atresia, the outflow tract is much smaller than normal, causing a backup of blood and a resulting low amount of oxygenated blood for the rest of the body. In addition to pulmonary atresia, there is also 3. ventricular septal defect (VSD, a hole in the wall between the two outflow chambers of the heart), and 4. overriding aorta (aorta positioned over the VSD instead of the left ventricle, the outflow tract of oxygenated blood to the body). These latter two defects cause further difficulty in getting oxygenated blood to the tissues, with the VSD causing oxygenated blood to mix with de-oxygenated blood (diluting it), and the position of the overriding aorta causes this diluted blood to be sent out to the body more than fully oxygenated blood from the left ventricle. Depending on the severity of the defect, babies can be symptomatic for a while and learn techniques for relief such as squatting or medications, but ultimately, total surgical repair is needed. There are other cyanotic defects as well, although much more rare. The most common non-cyanotic congenital heart defect is the ventricular septal defect. This accounts for 30%-60% of all congenital heart defects, and occurs every 2-6 live births per 1000. 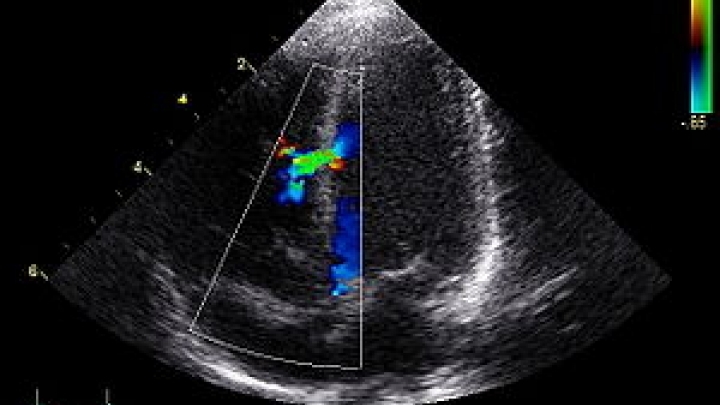 In this defect, the right and left ventricles have a hold between them, a failure of the wall to close during gestation. Because of blood pressures, it causes blood from the left heart to be pushed into the right heart and back to the lungs. This can cause several problems, most notably pulmonary hypertension in the lungs (high blood pressure), as well as overworking the left ventricle (which can cause eventual heart failure). Patients who have a VSD may not have any symptoms for a long time, but when they do, it's typically shortness of breath, hard and fast breathing, and a failure to thrive if it's a baby. Similarly, there can also be a hole in the wall between the two atria, an atrial septal defect. This is more rare, and may not present until much later in life. Again, they cause blood to move from the left heart into the right, and can put too much pressure on the lungs, and eventually cause atrial fibrillation (and the strokes that come with it) in adults, congestive heart failure, and pulmonary hypertension. Another defect that is somewhat common is called coarctation of the aorta, where the aorta (the main outflow tract from the heart to the rest of the body) has a narrowing in it that prevents the normal flow of blood. Symptoms of the defect depend on how much the aorta has narrowed, but usually present with light headedness and fainting, chest pain, and the tell tale sign of different blood pressures when each arm is measured. In children who have a large coarctation, they may show poor growth and failure to thrive. In most cases, the cause is unknown, but is suspected to be a combination of environmental and genetic factors. Some genetic syndromes have been linked to causing heart defects, the most common example being Down's Syndrome (aka Trisomy 21, when the child has three copies of the 21st chromosome instead of the normal two). About one of every two children with Down syndrome will have a congenital heart defect, such as a septal defect (usually a VSD). Other relatively common genetic syndromes produce heart defects as well, such as trisomies (three copies of a gene instead of two) of chromosomes 18 and 13, Turner syndrome (when girls only have one copy of their X chromosome instead of two), and DiGeorge syndrome (a piece is missing from the 22nd chromosome, resulting in learning difficulties, facial abnormalities, and overactive parathyroid glands, in addition to many congenital heart defects). Environmental factors such as alcohol, retinoic acid, and mothers who have rubella have also been shown to be at risk for their babies having a congenital heart defect. Most congenital heart defects will eventually have to be corrected with surgery or a heart transplant, but the timing is dependent on what symptoms it causes. An ASD might go undiagnosed for a long time, while a transposition will have to be corrected within the first week of life. Currently there is no federal law that requires newborns to be screened for a congenital heart defect. The organization Little Hearts, Inc, a national organization providing resources, education, and support for families with children with a congenital heart defect suggests all babies have a pulse-oximetry test after birth, a painless and non-invasive test that can provide lots of information in a very short amount of time. Dr. Michael Gewitz, Physician-in-Chief and Chief of Pediatric Cardiology at Maria Fareri Children's Hospital at Westchester Medical Center in Valhalla, N.Y. said "Critical congenital heart defects require immediate medical attention – and in some cases, that means a life-saving procedure or open-heart surgery within the first days or weeks of life. Early detection enables us to quickly identify and pursue a treatment plan for babies born with CHDs, which can help speed their recovery, improve their prognosis and, oftentimes, save their lives."